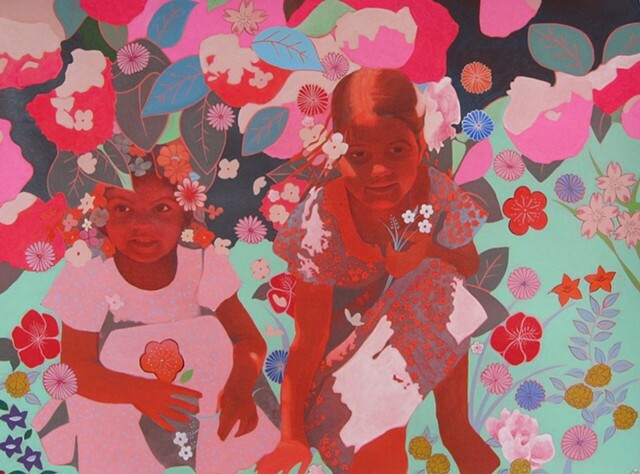 This portrait began with a photo of Poppy and Georgina playing in the garden under a hydrangea bush. It simultaneously captures the beautiful quality of light in the original image and the place where visual reality bleeds into a mysterious and magical world that children create through their play. The title evokes the classic English children's book as well as sufi poems which describe the walled garden as a secret place of infinite vitality and youthful innocence.